*Well, uh, I mean, as simulated as feeding and training Magikarp can get, I guess? Meet Professor Karp, a professor apparently dedicated to the study of Magikarp jumping. It’s a real branch of study, guys! Anyway, along comes… You… A genderless child who hasn’t even captured a Magikarp before! The Professor believes in you, as you look capable enough to own a Magikarp, so he gives you an Old Rod to fish up your first Magikarp and to train it up to challenge the 8 Magikarp jumping leagues. 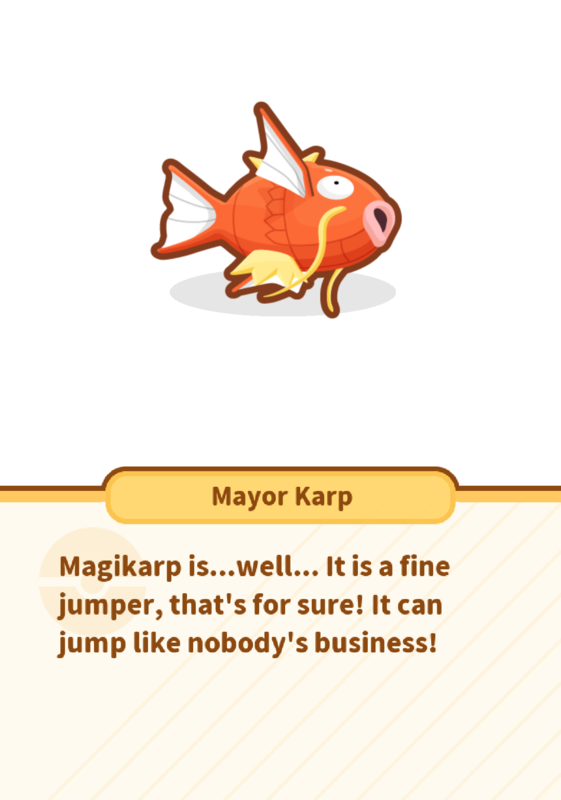 If you manage it, you will be the first Magikarp jumping champion in a very long time for their little town. The gameplay is very basic, allowing you to only do a few major things. The goal is to level up your Magikarp, through training/feeding it. 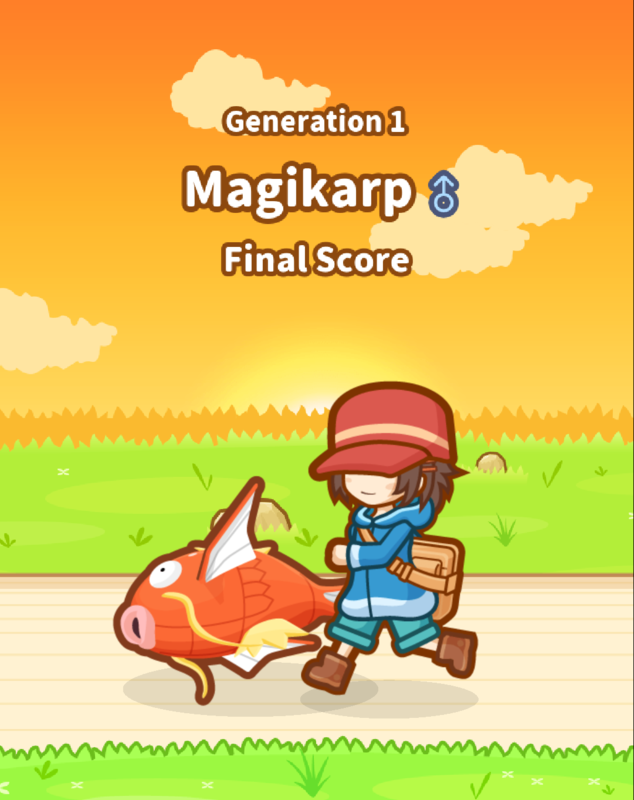 Although it’s not a hard game, it’s a very lovable game, allowing people the opportunity to name their Magikarp, then to feed them berries, train them via various means and finally going on to jumping through the competition, literally. As such, all of the functions of the game are very basic indeed. This is great, if you have a little one who you want to get into a geeky franchise, like Pokémon. 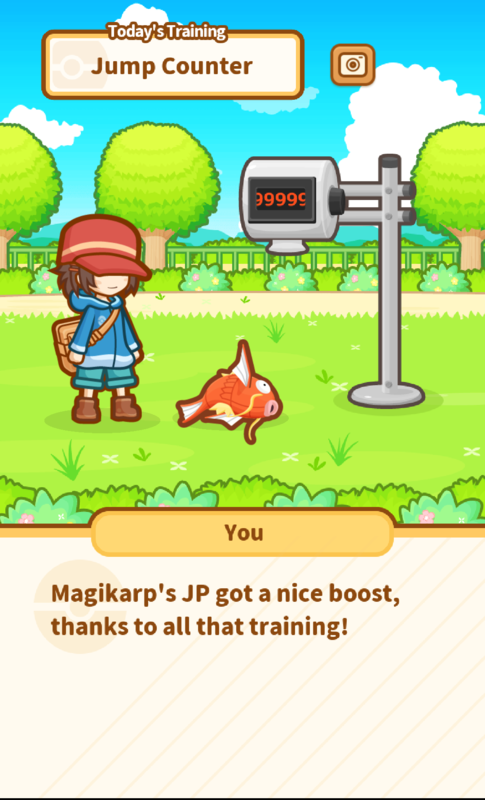 Feeding your Magikarp will increase it’s JP, or Jump Points. The higher the JP, the higher your Magikarp will leap. Literally this game is about how high you can get those numbers, which in the short time I played this for before writing this review, got up to about 6,800. I can imagine the… leap… in numbers can make quite the… splash. Wait, no, don’t leave..! As well as this, the main ways to get experience (or Jump Points), is via Training, Random Events (which are exactly as they sound,) or Support Pokémon. Starting with just a jump counter and a punchbag slam challenge, the training is just a randomised event which gives you a set amount of experience based on how well it decided you did. You can increase the amount of JP you earn by buying improvements to your training, as well as being able to buy things for your fish pond, allowing you to gain JP faster. Support Pokémon meanwhile are just a passive timer, which gives you a boost in JP when you activate them. Your first Support Pokémon is, naturally, Pikachu. You must train your Magikarp up to handle the 8 leagues – But one Magikarp cannot take them all on. Based on your character level, your Magikarp will be able to only go up to a certain level. Once reached, it might as well jump for it’s life in the leagues. If it succeeds, you earn a badge. If it doesn’t your Magikarp goes for retirement. Quite sad, really. Once a Magikarp is retired, you catch a new one which might have a different pattern on it’s body. Different Magikarp have different passive benefits. Needless to say, this is a mobile game, which means you can pay to win, as is standard affair these days. 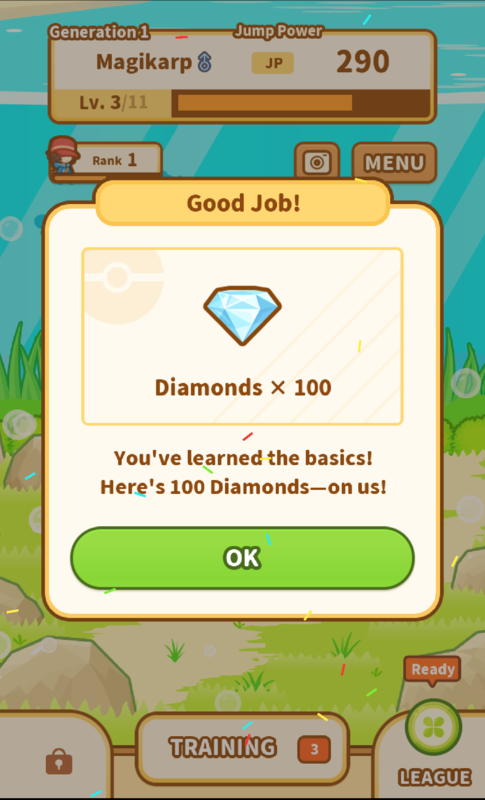 There are Gems and these are earned through accomplishing some feat, or you just simply have to purchase them to level your Magikarp up faster. Whilst I’d not purchase gems for this title, I can imagine some kids getting ahold of their parents credit cards to get a Charizard Support Pokémon. Don’t look at me like that, I know you would think about that kinda thing too! In all fairness, the gameplay is incredibly basic, as I mentioned many times throughout this review. You are, effectively, just tapping a button, getting an increase in stats, watching some random events and then fighting the leagues, which is also just tapping one button. With that in mind, I cannot recommend the gameplay experience as much at all, however what it does well is the cute factor, which we’ll discuss in the Graphics section of this review. As far as a game goes though, this really was made for pretty young children, so anyone expecting anything else might want to consider what they went there for. Not all games in a franchise needs to be for the core demograph. Okay so whilst the music itself is super cute and of such high quality, it’s actually the sound effects that make the game sound fantastic. Whether it’s the sound of your Magikarp crashing through the ground in the league battles, or even the sound of Magikarp itself, the game has adorable effects. That’s literally the whole point of the sound in this game: To complement, rather than to enhance. Besides – The Magikarp sound effect is the same noise that it’s had since Pokémon Red and Blue! A touch of nostalgia for those who crave it. I don’t suspect this will become some major craze and it certainly won’t topple the massive Pokemon Go which is still go-ing strong… But I could be wrong! I suspect Magikarp Jump will have the usual Pokémon fans; perhaps some really young children will get into the franchise this way as well, but that’s probably as far as that gets. However, it’s a very cute little game, especially if you’re looking for something to pass the time. It’s not a major title, it’s not going to win many awards, it’s not a clever game, it’s also somewhat surprising that the Pokémon Company even went through with this title. But if nothing else, it’s a cute time waster… And at the end of the day, for a casual game to play, this might be all that you need. 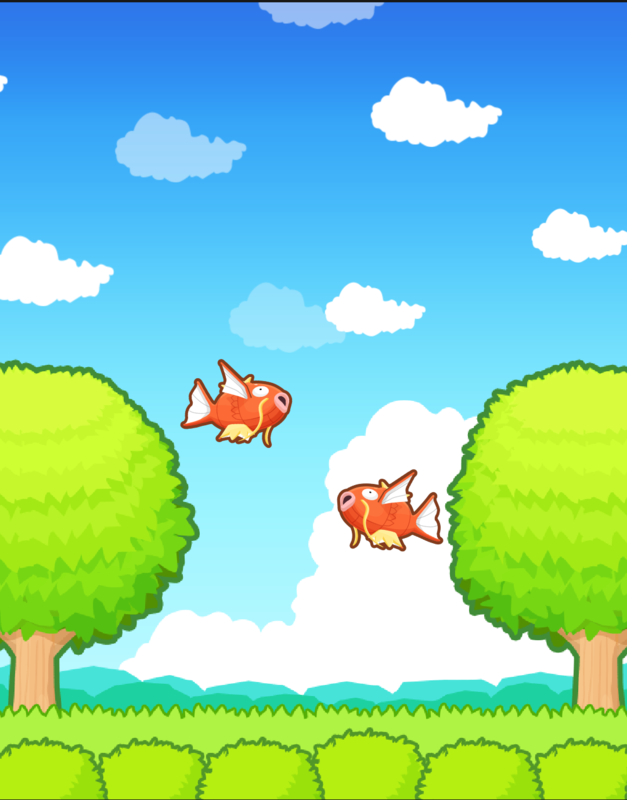 What do you think of Magikarp Jump? Does the prospect of feeding and competitively jumping Magikarp sound like your idea of fun? Let us know what you thought in the comments below, or over on Facebook, Twitter or Reddit. 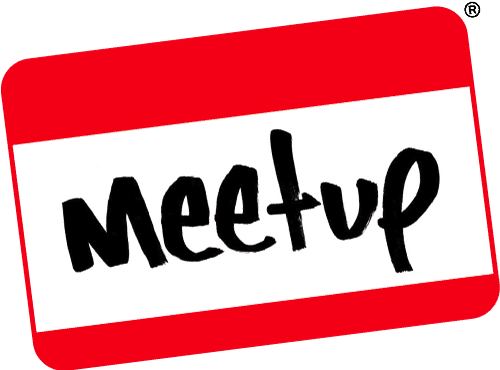 This entry was posted on June 2, 2017 by Timlah. It was filed under Gaming posts, Reviews, Video Games and was tagged with android, App Store, iOS, Is Magikarp Jump good for adults, Is Magikarp Jump Safe for Kids, iTunes, Jump, Magikarp, Magikarp Jump, Mobile Game, Play Store, Pokemon, Review, video game. Sounds like a quick time waster. I might give it a go. Great review. I might as well try it at home.